In an effort to seemingly expand California’s already large abortion state, Assemblywoman Toni Atkins has introduced a bill, AB154, which would allow non-physicians to perform abortions. 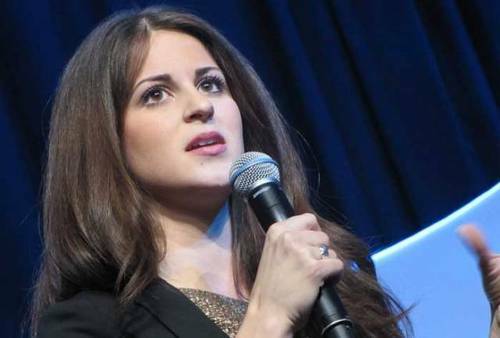 Live Action president Lila Rose condemned the bill, which would make abortion even more commonplace, and more dangerous for women. The pro-abortion lobby will stop at nothing to force an abortion-first mentality on women and families – committing violence against weak and defenseless pre-born children, and ignoring commonsense protections for women in some of their most vulnerable moments. “All women deserve access to health care in their local communities”…even if it kills them, or their children. That’s the though process behind this actual quotation from Senator Hannah-Beth Jackson of Santa Barbara, regarding California’s ill-advised new law expanding abortions in the state. In what other realm of business does this bizarre standard pass muster? Do you let a butcher build your house because you “deserve access to” a carpenter? Do you let a nurse do your bypass surgery because you “deserve access to” a cardiologist? Nowhere else does “we really need it, therefore let unqualified people do it” make sense – and the mentality doesn’t make sense here, either. In fact, it’s downright dangerous. In the wake of Kermit Gosnell, in whose abortion facility a woman died from an untrained staff member’s mistake, it’s unthinkable for lawmakers in California to push a law like this. How many more times will my home state carry water for this unregulated industry, which makes its money off the vulnerable moments of women and by murdering pre-born children? Abortion advocates are lauding the move, saying it would make abortion more accessible for low-income women, or women who live in rural areas. What is not mentioned are the many risks that come with abortion – even the supposedly “safe” medical abortions such as RU486. RU486 has killed over a dozen women and injured many, many more. This is just one example of why allowing unqualified non-physicians to perform abortions is a dangerous idea, sure to put women’s lives at risk even more than they already are.